It is with utmost respect that I am writing this application to you. Being a student in this prestigious school/college is such a privilege. 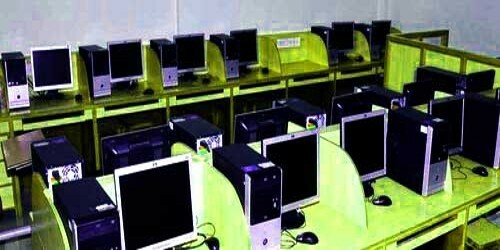 We have remarkable facilities in this school/college including building, library, science lab and computer lab. (Describe in your own words). We utilize them to our best and every year students come out with brilliant academic results. But as you know that it is summer season and it gets really warm at times; our computer lab is treated by this much warm temperature. Computers themselves emit heat, and due to this, the inside of the lab gets quite warm. It has many profound consequences for both students’ performance as well as our computer lab. (Explain the actual cause and situation). We have serious difficulties while working in such a warm environment. Moreover, a few components of the computer broke down last week due to over-heating. (Cordially describe your requirements). It is our humble request to consider our application and arrange one air conditioner in the computer lab so that we can do our level best and no potential loss of hardware takes place. I am (Your name), studying in (Subject and department name). Our class is comprised of 30-60 students. Sir, we attend two classes of the computer in a computer lab in a week. (Describe in your own words). As you know, the computer lab has no proper ventilation and there are about 30-60 students in a congested class. Moreover, this is a hot month of Summer season. (Explain the actual cause and situation). So, there is dire need of air conditioner in the computer lab. Sir, as a representative of my whole class, I request you to please issue directives of applying of an air conditioner in a computer lab. (Cordially describe your requirements). I will be very thankful to you for this kind act.